My house is smitten by Hamilton. We listen to the music incessantly, my wife and I are both reading the Chernow biography, and the kids are fighting over who gets to use the third ticket to the Broadway show when we go to New York in the fall. 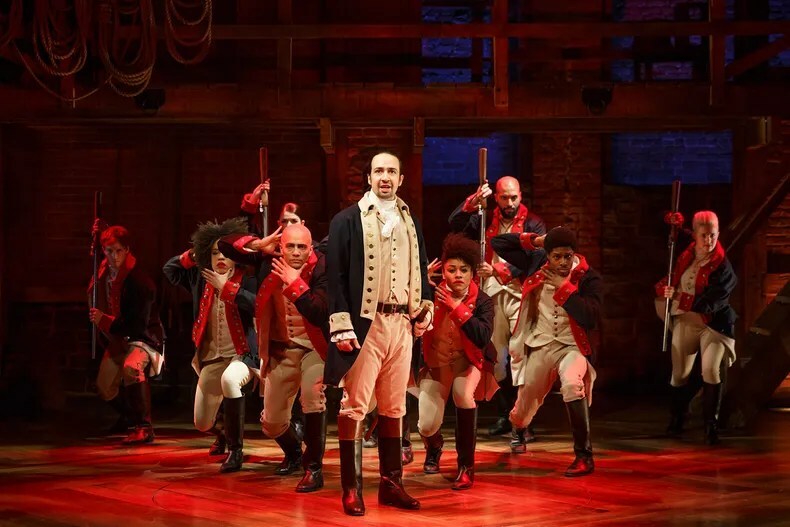 So in thinking about the recent conundrum facing the state legislature with respect to reforming non-competes in Massachusetts, you’ll have to forgive me if I contemplate: WWHD (What Would Hamilton Do)? First, some background. Non-competes are odious devices used, often surreptitiously, by corporations to suppress workers from freely pursuing opportunities. Their use hinders innovation, as demonstrated by numerous academic studies — creating “career detours” and “skills atrophy” warns one MIT professor while the Kauffman Foundation notes non-competes represent an “obstacle to labor mobility”, which is so critical in a dynamic economy.After many years of studying the issue, the White House has decided to weigh in, with Vice President Biden warning that non-competes creates unnecessary friction in preventing a fair marketplace for labor (his “regular Joe” explanation of why non-competes are bad, by the way, is one of the clearest and most direct you’ll ever read). In Massachusetts, many of us have been working to get rid of non-competes for a long, long time. I give Bijan Sabet credit for first sounding the clarion call on the issue almost a decade ago with his December 2007 post on the issue. Since then, policy makers, entrepreneurs, labor leaders and investors rallied together to educate legislatures on why they are so corrosive, negatively impacting camp counselors, sandwich shop makers and PhDs alike. At first, this broad coalition of reformers were set on eliminating non-competes entirely. But in the last year, those of us who have been engaged in this issue have come around to compromise. In business, you get to make crisp decisions — ship a product, include or delete certain features, make hardchoices about raising capital and signing partnerships. But in politics, compromise is the lingua franca. Even the most ardent supporters of eliminating non-competes have begun to realize that pragmatic compromises are the only path to achieving real reform. So when Massachusetts House Speaker DeLeo signaled his willingness to take on the issue of non-compete reform, many of us were heartened. The bill that the House unanimously approved is a good one but has a few flaws. On Thursday, the Senate addressed these flaws and passed a stronger reform bill and now the two bodies will convene to try to negotiate a compromise. And here’s where my mind drifts to Hamilton. This orphaned, immigrant Founding Father was an ardent advocate for his beliefs and values. His intellectual battles with other Founding Fathers over the fundamental pieces of the very formation of America, particularly James Madison and Thomas Jefferson, are legendary. Yet, in situation after situation, even hot-tempered Hamilton learned to compromise. So let’s not allow this moment to pass and result in yet another legislative session consisting of debate and hearings but nothing to show for it. Inspired by Hamilton, as they take up the final details of the bill, I implore our state legislators: let’s not throw away our shot. There is a funny ritual in board rooms when it comes time to determine which board members will go on which board committees. I have seen the same pattern almost every time on every board I have ever been on. Every VC worth their salt knows that the compensation committee is where all the power is – setting the CEO’s compensation, evaluating her performance – whereas audit committee is a snooze. Reviewing revenue recognition policy, discussing the finer points of GAAP and interacting with auditors is less fun than a visit to the dentist. And, besides, in the early days when there is little revenue to recognize and the numbers are too small to merit much debate, there is little reason to even form the audit committee and bother with the expense and time of conducting an audit. Or at least that is the conventional wisdom. In recent years, I have changed my views. Serving on the audit committees of a venture-backed startup is no longer rote but rather a central and strategic function. Further, I think entrepreneurs should embrace going through an audit rather than holding off as long as possible – which is the typical modus operandi for startups in the first few years. Let me explain (as succinctly as possible, before I put you to sleep since this topic is not known to be particularly scintillating !). The audit committee is thus where the “rubber meets the sky”. Entrepreneurs are dreamers and optimists, always looking to the future. Audit committees are evaluative and grounded in what actually happened, not what might happen. That is why the audit committee’s role becomes so central at the time of exit. In either an IPO or an M&A transaction, suddenly everyone is focused on financial results and controls and what actually happened and how it was reported and accounted for. If entrepreneurs and boards took the audit committee more seriously from inception, they would save themselves a lot of heartache at the time of exit, never mind avoid some of the classic scaling pitfalls when operations get sloppy. Let me give you one painful example I recently experienced. I served on the audit committee of one of my portfolio companies. The company was scaling fast and we found ourselves in the enviable, yet still problematic position, of many scaling companies: our finance and operations team was too thinly staffed, our VP of Finance was a bit over their head and we were scrambling to bring in a more senior finance and operations executive. Because I was busy and sitting on a lot of boards and committees, and because I trusted that the CEO and VP of Finance were on top of things, I was not particularly worried about the fact that our audit seemed to be delayed. No alarm bells went off when the typical audit period of a private company (May, June, July) went by without the audit committee being called to convene and review the completed audit. When the new head of finance showed up and finally dug into the audit process, he discovered that we had inappropriately accounted for some of our transactions. A company we thought was EBITDA positive suddenly turned negative and our accelerated customer acquisition was proving to be unprofitable. We caught the problems in time to hit the brakes, but I know that if I had been more proactive in my role on the audit committee, we could have mitigated the impact. Mistakes like these happen in good companies run by good people because everything is moving quickly, everyone is spread thin and everyone is focused on the next product release, the next deal, the next quarter, the next year and the next valuation inflection point. The audit process is that point in time where you bring in skeptical outsiders to slow things down and look backwards. Immersing yourself in that process is a valuable function for a board and any entrepreneur – and an underappreciated one.